Something weird is going on in the universe that is causing astronomers and physicists to lose a bit of sleep at night. You have probably heard about the discovery of dark energy and the accelerating expansion of the universe. This is a sign that something is afoot that may not have a pleasant outcome for our universe or the life in it. The basic idea is that our universe has been steadily expanding in scale since 14 billion years ago when it flashed into existence in an inconceivably dense and hot explosion. Today we can look around us and see this expansion as the constantly- increasing distances between galaxies embedded in space. Astronomers measure this change in terms of a single number called the Hubble Constant which has a value of about 70 km/sec per megaparsecs. For every million parsecs of separation between galaxies, a distance of 3.24 million light years, you will see distant galaxies speeding away from each other at 70 km/sec . This conventional Big Bang theory has been the main-stay of cosmology for decades and it has helped explain everything from the formation of galaxies to the abundance of hydrogen and helium in the universe. Beginning in the 1980’s, physicists such as Alan Guth and Andre Linde added some new physics to the Big Bang based on cutting-edge ideas in theoretical physics. For a decade, physicists had been working on ways to unify the three forces in nature: electromagnetism, and the strong and weak nuclear forces. This led to the idea that just as the Higgs Field was needed to make the electromagnetic and weak forces look different rather than behave as nearly identical ‘electroweak’ forces, the strong force needed its own ‘scalar field’ field to break its symmetry with the electroweak force. When Guth and Linde added this field to the equations of Big Bang cosmology they made a dramatic discovery. As the universe expanded and cooled, for a brief time this new scalar field made the transition between a state where it allowed the electroweak and strong forces to look identical, and a state where this symmetry was broken representing the current state of affairs. This period of time extended from about 10(-37) second to 10(-35) seconds; a mere instant in cosmic time, but the impact of this event was spectacular. 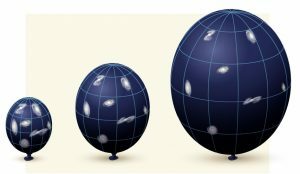 Instead of the universe expanding at a steady rate in time as it does now, the separations between particles increased exponentially in time in a process called Inflation. 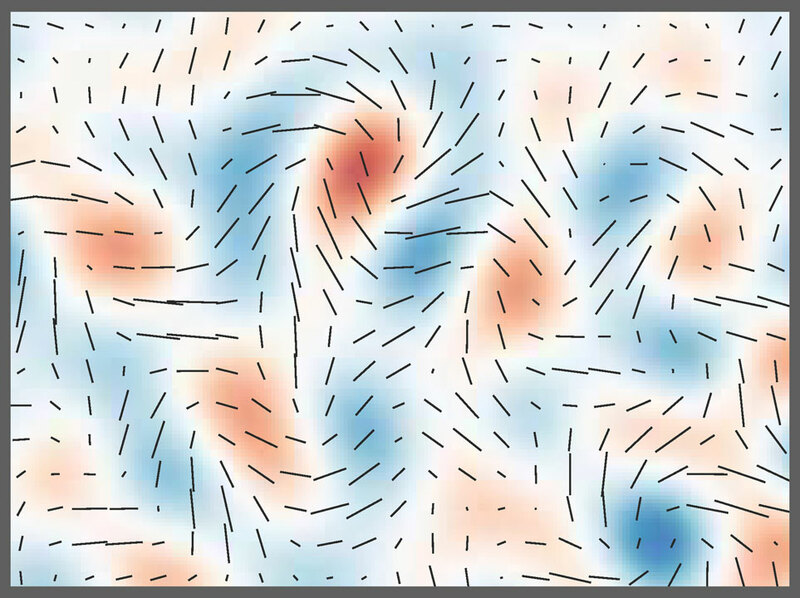 Physicists now had a proper name for this scalar field: The Inflaton Field. 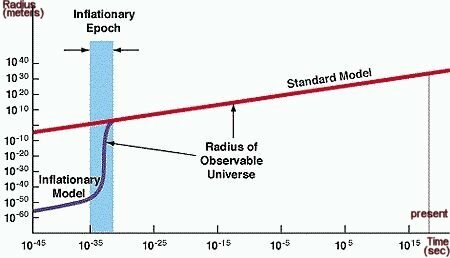 Observational cosmology has been able to verify since the 1990s that the universe did, indeed, pass through such an inflationary era at about the calculated time. The expansion of space at a rate many trillions of times faster than the speed of light insured that we live in a universe that looks as ours does, especially in terms of the uniformity of the cosmic ‘fireball’ temperature. It’s 2.7 kelvins no matter where you look, which would have been impossible had the Inflationary Era not existed. 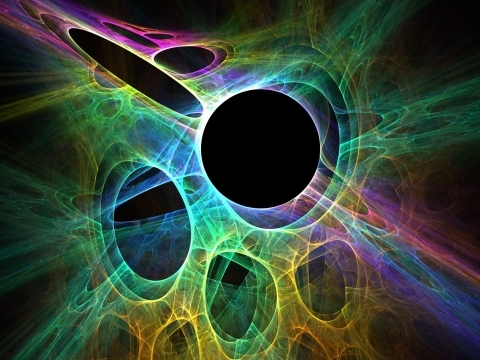 Physicists consider the vacuum of space to be more than ‘nothing’. Quantum mechanically, it is filled by a patina of particles that invisibly come and go, and by fields that can give it a net energy. The presence of the Inflaton Field gave our universe a range of possible vacuum energies depending on how the field interacted with itself. As with other things in nature, objects in a high-energy state will evolve to occupy a lower-energy state. Physicists call the higher-energy state the False Vacuum and the lower-energy state the True Vacuum, and there is a specific way that our universe would have made this change. Before Inflation, our universe was in a high-energy, False Vacuum state governed by the Inflaton Field. As the universe continued to expand and cool, a lower-energy state for this field was revealed in the physics, but the particles and fields in our universe could not instantaneously go into that lower-energy state. As time went on, the difference in energy between the initial False Vacuum and the True Vacuum continued to increase. Like bubbles in a soda, small parts of the universe began to make this transition so that we now had a vast area of the universe in a False Vacuum in which bubbles of space in the True Vacuum began to appear. But there was another important process going on as well. When you examine how this transition from False to True Vacuum occurred in Einstein’s equations that described Big Bang cosmology, a universe in which the False Vacuum existed was an exponentially expanding space, while the space inside the True Vacuum bubbles was only expanding at a simple, constant rate defined by Hubble’s Constant. So at the time of inflation, we have to think of the universe as a patina of True Vacuum bubbles embedded in an exponentially-expanding space still caught in the False Vacuum. 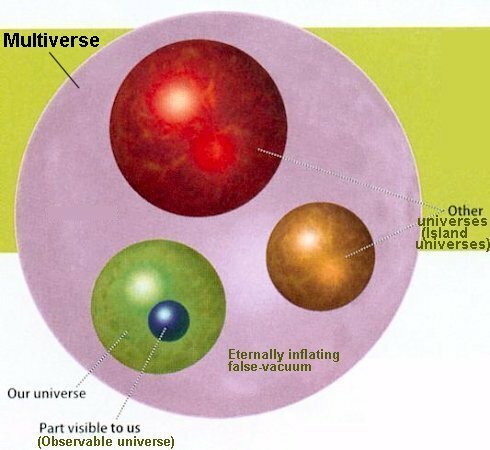 What this means for us today is that we are living inside one of these True Vacuum bubbles where everything looks about the same and uniform, but out there beyond our visible universe horizon some 14 billion light years away, we eventually enter that exponentially-expanding False Vacuum universe. Our own little bubble may actually be billions of times bigger than what we can see around us. It also means that we will never be able to see what these other distant bubbles look like because they are expanding away from us at many times the speed of light. You may have heard of Dark Energy and what astronomers have detected as the accelerating expansion of the universe. By looking at distant supernova, we can detect that since 6 billion years after the Big Bang, our universe has not been expanding at a steady rate at all. The separations between galaxies has been increasing at an exponential rate. This is caused by Dark Energy, which is present in every cubic meter of space .The more space there is as the universe expands, the more Dark Energy and the faster the universe expands. What this means is that we are living in a False Vacuum state today in which a new Inflaton Field is causing space to dilate exponentially. It doesn’t seem too uncomfortable for us right now, but the longer this state persists, the greater is the probability our corner of the universe will see a ‘bubble’ of the new True Vacuum appear. Inside this bubble there will be slightly different physics such as the mass of the electron or the quark may be different. 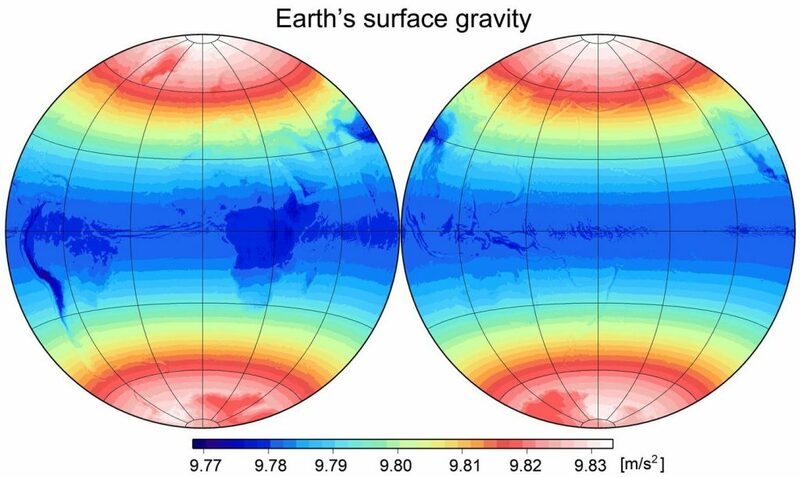 We don’t know when our corner of the universe will switch over to its True Vacuum state. It could be tomorrow or 100 billion years from now. But there is one thing we do know about this progressive, accelerated expansion. Eventually, distant galaxies will be receding from our Milky Way at faster that the speed of light as they are helplessly carried along by a monstrously-dilating space. This also means they will become permanently invisible for the rest of eternity as their light signals never keep pace with the exponentially-increasing space between them. Meanwhile, our Milky Way will become the only cosmic collection of matter we will ever be able to see from then on. It is predicted that this situation will occur about 100 billion years from now when the Andromeda Galaxy will pass beyond this distant horizon. As for what the new physics will be in the future True Vacuum state is anyone’s guess. If the difference in energy between the False and True vacuum is only a small fraction of the mass of a neutrino (a few electron-Volts) we may hardly know that it happened and life will continue. But if it is comparable to the mass of the electron (512,000 eV), we are in for some devastating and fatal surprises best not contemplated. Check back here on Tuesday, May 16 for my next topic! is even inscribed on his tombstone! His frustrations with the anti-atomists who hated his crowning achievement ‘statistical mechanics’ led him in profound despair to commit suicide in 1906. If you flip a coin 4 times, it is unlikely that all 4 flips will result in all-heads or all-tails. It is far more likely that you will get a mixture of heads and tails. This is a result of their being a total of 2^4 = 16 possible outcomes or ‘states’ for this system, and the state with all heads or all tails occur only 1/16 of the time. Most of the states you will produce have a mixture of heads and tails (14/16). Now replace the coin flips by the movement of a set of particles in three dimensions. Boltzmann’s statistical mechanics related the number of possible states for N particles moving in 3-dimensional space, to the entropy of the system. It is more difficult to calculate the number of states than for the coin flip example above, but it can be done using his mathematics, and the result is the ‘W’ in his equation S = k Log W. The bottom line is that, the more states available to a collection of particles (for example atoms of a gas), the higher is the entropy given by . How does a gas access more states? One way is for you to turn up its temperature so that the particles are moving faster. This means that as you increase the temperature of a gas, its entropy increases in a measurable way. Cosmologically, as our universe expands and cools, its entropy is actually increasing steadily because more and more space is available for the particles to occupy even as they are moving more slowly as the temperature declines. The Big Bang event itself, even at its unimaginably high temperature was actually a state of very low entropy because even though [particles were moving near the speed of light, there was so little space for matter to occupy! For random particles in a gas colliding like billiard balls, with no other organizing forces acting on them, (called the kinetic theory of gases), we can imagine a collection of 100 red particles clustered in one corner of a box, and 1000 other blue particles located elsewhere in the box. If we were to stumble on a box of 1100 particles that looked like this we would immediately say ‘how odd’ because we sense that as the particles jostled around the 100 red particles would quickly get uniformly spread out inside the box. This is an expression of their being far more available states where the red balls are uniformly mixed, than states where they are clustered together. This is also a statement that the clustered red balls is a lower-entropy version of the system, and the uniformly-mixed version is a higher form of entropy. So we would expect that the system evolves from lower to higher entropy as the red particles diffuse through the box: Called the Second Law of Thermodynamics. The problem is that given enough time, even very rare states can have a non-zero probability of happening. With enough time and enough jostling, we could randomly find the red balls once again clustered together. It may take billions of years but there is nothing that stands in the way of this happening from statistical principles. Now let’s suppose that instead of just a collection of red balls, we have a large enough system of particles that some rare states resemble any physical object you can imagine: a bacterium, a cell phone, a car…even a human brain! 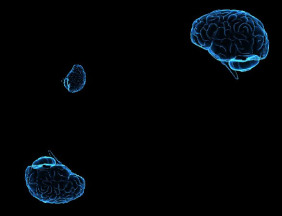 A human brain is a collection of particles organized in a specific way to function and to store memories. In a sufficiently large and old universe, there is no obvious reason why such a brain could not just randomly assemble itself like the 100 red particles in the above box. It would be sentient, have memories and even senses. None of its memories would be of actual events it experienced but simply artificial reconstructions created by just the right neural pathways randomly assembled. It would remember an entire lifetime to date without having actually lived or occupied any of the events in space and time. When you calculate the probability for such a brain to evolve naturally in a low-entropy universe like ours rather than just randomly assembling itself you run into a problem. According to Boltzmann’s cosmology, our vast low-entropy and seemingly highly organized universe is embedded in a much larger universe where the entropy is much higher. It is far less likely that our organized universe exists in such a low entropy state conducive to organic evolution than a universe where a sentient brain simply assembles itself from random collisions. 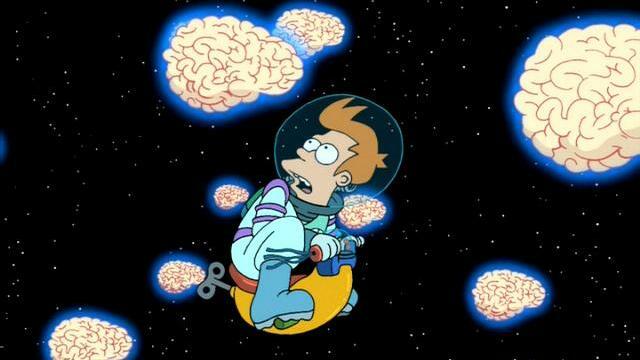 In any universe destined to last for eternity, it will rapidly be populated by incorporeal brains rather than actual sentient creatures! This is the Paradox of the Boltzmann Brain. Even though Creationists like to invoke the Second Law to deny evolution as a process of random collisions, the consequence of this random idea about structure in the universe says that we are actually all Boltzmann Brains not assembled by evolution at all. It is, however, of no comfort to those who believe in God because God was not involved in randomly assembling these brains, complete with their own memories! So how do we avoid filling our universe with the abomination of these incorporeal Boltzman Brains? First of all, we do not live in Boltzmann’s universe. Instead of an eternally static system existing in a finite space, direct observations show that we live in an expanding universe of declining density and steadily increasing entropy. Secondly, it isn’t just random collisions that dictate the assembly of matter (a common idea used by Creationists to dismantle evolution) but a collection of specific underlying forces and fundamental particles that do not come together randomly but in a process that is microscopically determined by specific laws and patterns. The creation of certain simple structures leads through chemical processes to the inexorable creation of others. We have long-range forces like gravity and electromagnetism that non-randomly organize matter over many different scales in space and time. Third, we do not live in a universe dominated by random statistical processes, but one in which we find regularity in composition and physical law spanning scales from the microscopic to the cosmic, all the way out to the edges of the visible universe. When two particles combine, they can stick together through chemical forces and grow in numbers from either electromagnetic or gravitational forces attracting other particles to the growing cluster, called a nucleation site. Fourth, quantum processes and gravitational processes dictate that all existing particles will eventually decay or be consumed in black holes, which will evaporate to destroy all but the most elementary particles such as electrons, neutrinos and photons; none of which can be assembled into brains and neurons. The result is that Boltzmann Brains could not exist in our universe, and will not exist even in the eternal future as the cosmos becomes more rarefied and reaches its final and absolute thermodynamic equilibrium. The accelerated expansion of the universe now in progress will also insure that eventually all complex collections of matter are shattered into individual fundamental particles each adrift in its own expanding and utterly empty universe! Check back here on Tuesday, May 9 for my next topic! On Earth we can deploy a 164-ton wind turbine to generate 1.5 megawatts of electricity, but in the also energy-hungry environment of space travel, far more efficient energy-per-mass systems are a must. The choices for such systems are not unlimited in the vacuum of space! OK…this is a rather obscure topic, but as I discussed in my previous blog, in order to create space propulsion systems that can get us to Mars in a few days, or Pluto in a week, we need some major improvements in how we generate power in space. I am going to focus my attention on ion propulsion, because it is far less controversial than any of the more efficient nuclear rocket designs. Although nuclear rocket technology is pretty well worked out theoretically and in engineering designs since the 1960s, there is simply no political will to deploy this technology in the next 50 years due to enormous public concerns. The concerns are not entirely unfounded. The highest-efficiency and least massive fission power plants would use near-weapons grade uranium or plutonium fuel, making them look like atomic bombs to some skeptics! Both fission and fusion propulsion have a lot in common with ordinary chemical propulsion. They heat a propellant up to very high temperatures and direct the exhaust flow, mechanically, out the back of the engine using tapered ‘combustion chambers’ that resemble chemical rockets. The high temperatures insure that the isotropic speeds of the particles are many km/sec, but the flow has to be shaped by the engine nozzle design to leave the ship in one direction. The melting temperature of a fission reactor is about 4,500 K so the maximum speed of the ejected thermal gas (hydrogen) passing through its core is about 10 km/sec. Ion engines are dramatically different. They guide ionized particles out the back of the engine using one or more acceleration grids. The particles are electrostatically guided and accelerated literally one at a time, so that instead of flowing all over the place in the rocket chamber, they start out life already ‘collimated’ to flow in only one direction at super-thermal speeds. 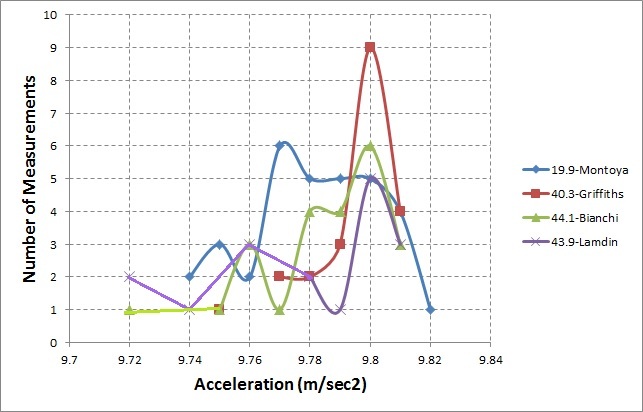 For instance, the Dawn spacecraft ejected Zenon particles at a speed of 25 km/sec. If you had a high-temperature xenon gas with particles at that same speed, the temperature of this gas would be 4 million Celsius! Well above the melting point of the ion engine! We are well into the design of high-thrust ion engines, and have already deployed several of these. The Dawn spacecraft launched in 2007 has visited asteroid Vesta (2011) and dwarf planet Ceres (2015) using a 10 kilowatt ion engine system with 937 pounds of xenon propellant, and achieved a record-breaking speed change of 10 kilometers/sec. It delivered about 0.09 Newtons of thrust over 2,000 days of continuous operation. Compare this with the millions of Newtons of thrust delivered by the Saturn V in a few minutes. 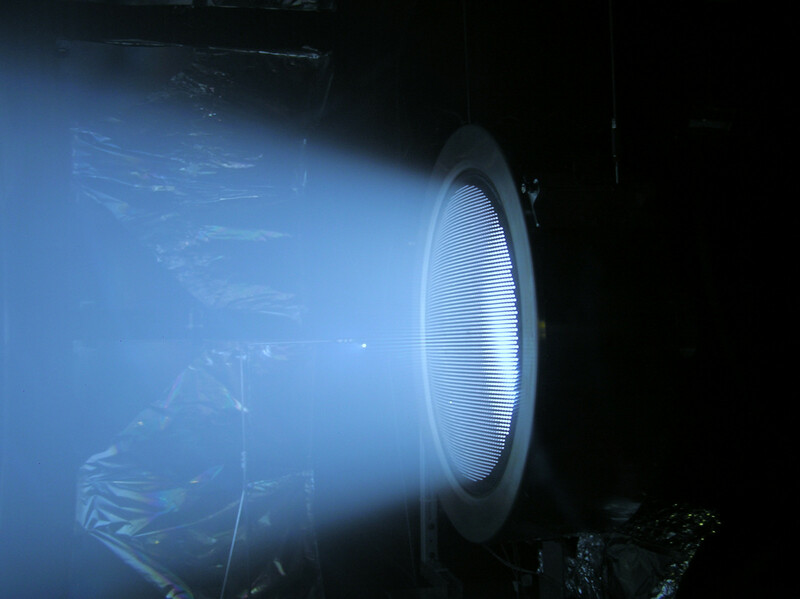 Under laboratory conditions, newer ion engine designs are constantly being developed and tested. The NASA NEXT program in 2010 demonstrated over 5.5 years of continuous operation for a 7 kilowatt ion engine. It used 862 kg of xenon and produced a thrust of 3.5 Newtons, some 30 times better than the Dawn technology. Theoretically, an extensive research study on the design of megawatt ion engines by David Fearn presented at the Space Power Symposium of the 56th International Astronautical Congress in 2005 gave some typical characteristics for engines at this power level. The conclusion was that these kinds of ion engines pose no particular design challenges and can achieve exhaust speeds that exceed 100 km/sec. As a specific example, an array of nine thrusters using xenon propellant would deliver a thrust of 120 Newtons and consume 7.4 megawatts. A relatively small array of thrusters can also achieve exhaust speeds of 1,500 km/sec using lower-mass hydrogen propellants. Ion propulsion requires megawatts of energy in order to produce enough continuous thrust to get us to the high speeds and thrusts we need for truly fast interplanetary travel. The bottom line for ion propulsion is the total electrical power that is available to accelerate the propellant ions. Very high efficiency solar panels that convert more than 75% of the sunlight into electricity work very well near Earth orbit (300 watts/kg), but produce only 10 watts/kg near Jupiter, and 0.3 watts/kg near Pluto. That means the future of fast space travel via ion propulsion spanning our solar system requires some kind of non-solar-electric, fission reactor system (500 watts/kg) to produce the electricity. The history of using reactors in space though trivial from an engineering standpoint, is a politically complex one because of the prevailing fear that a launch mishap will result in a dirty bomb or even a Hiroshima-like event in the minds of the general public and Congress. The Soviet Union has been launching nuclear reactors into space for decades in its Kosmos series of satellites. 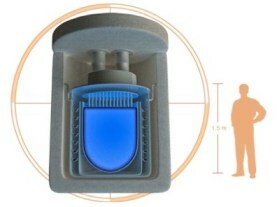 Early in 1992, the idea of purchasing a Russian-designed and fabricated space reactor power system and integrating it with a US designed satellite went from fiction to reality with the purchase of the first two Topaz II reactors by the Strategic Defense Initiative Organization (now the Ballistic Missile Defense Organization (BMDO). SDIO also requested that the Applied Physics Laboratory in Laurel, MD propose a mission and design a satellite in which the Topaz II could be used as the power source. Even so, the Topaz II reactor had a mass of 1,000 kg and produced 10 kilowatts for an efficiency of 10 watts/kg. Due to funding reduction within the SDIO, the Topaz II flight program was postponed indefinitely at the end of Fiscal Year 1993. Similarly, cancellation was the eventual fate of the US SP-100 reactor program. This program was started in 1983 by NASA, the US Department of Energy and other agencies. It developed a 4000 kg, 100 kilowatt reactor ( efficiency = 25 watts/kg) with heat pipes transporting the heat to thermionic converters. Believe it or not, small nuclear fission reactors are becoming very popular as portable ‘batteries’ for running remote communities of up to 70,000 people. The Hyperion Hydride Reactor is not much larger than a hot tub, is totally sealed and self-operating, has no moving parts and, beyond refueling, requires no maintenance of any sort. According to the Hyperion Energy Company the Gen4 reactor has a mass of about 100-tons and is designed to deliver 25 megawatts electricity for a 10-year lifetime, without refueling. The efficiency for such a system is 250 watts/kg! Of course you cannot just slap one of these Bad Boys onto a rocket ship to provide the electricity for the ion engines, but this technology already proves that fission reactors can be made very small and deliver quite the electrical wallop, and do so in places where solar panels are not practical. Some of the advanced photo-electric system being developed by NASA and NASA contractors are based on the solar energy technology used in the NASA Deep Space 1 mission and the Naval Research Laboratory’s TacSat 4 reconnaissance satellite, and are based on ‘stretched lens array’ lens concentrators for sunlight that amplify the sunlight by up to 8 times (called eight-sun systems). The solar arrays are also flexible and can be rolled out like a curtain. The technology promises to reach efficiency levels of 1000 watts/kg, and less than $50/watt, compared to the 100 w/kg and $400/watt of current ‘one sun’ systems that do not use lens concentrators. A 350 kW solar-electric ion engine system is a suggested propulsion for a 70 ton crewed mission to Mars. With the most efficient stretched lens array solar arrays currently under design, a 350 kW system would have a mass of only 350 kg and cost about $18 million. The very cool thing about this is that improvements in solar panel technology not only directly benefit space power systems for inner solar system travel, but lead to immediate consumer applications in Green Energy! Imagine covering your roof with a 1-square-meter high efficiency panel rather than your entire roof with an unsightly lower-efficiency system! 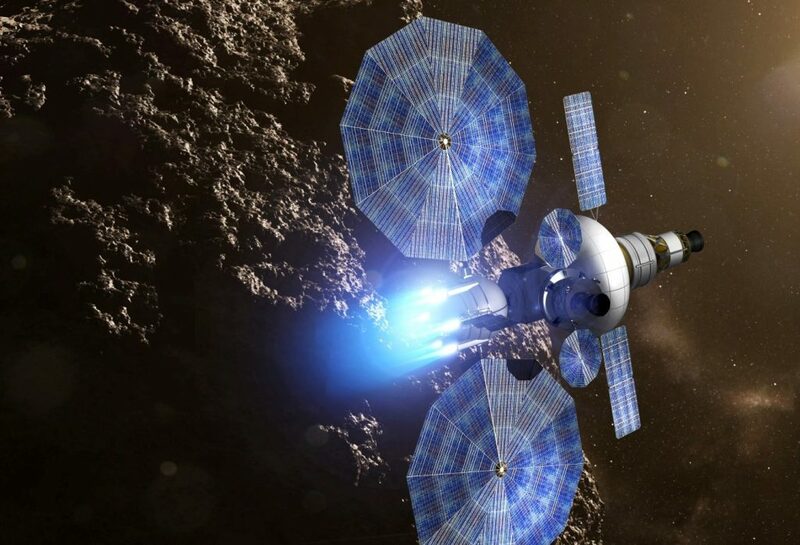 So to really zip around the solar system and avoid the medical problems of prolonged voyages, we really need more work on compact power plant design that is politically realistic. Once we solve THAT problem, even Pluto will be a week’s journey away! Check back here on Monday, April 24 for my next topic! 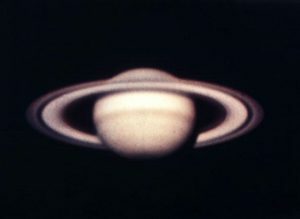 Back in the 1960s when I began my interest in astronomy, the best pictures we had of the nine planets were out of focus black and white photos. I am astonished how far we have come since then and decided to devote this blog to a gallery of the best pictures I could find of our solar system neighbors! First, let’s have look at the older photos. 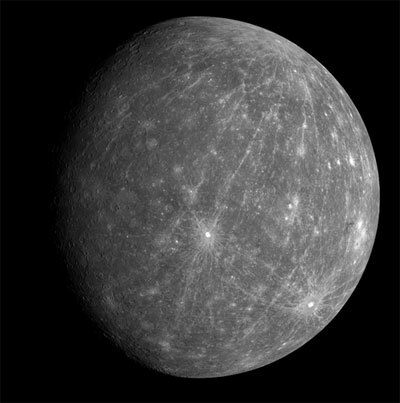 First we have Mercury, which is never very far from pour sun and a very challenging telescopic object. Above is what mars looked like! Then we have Jupiter and Saturn shown below. 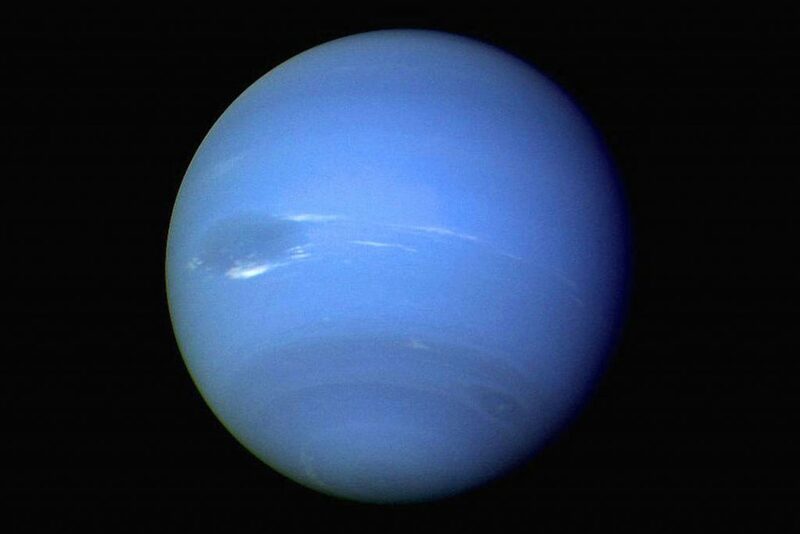 Among the hardest and most mysterious objects were Uranus shown here. 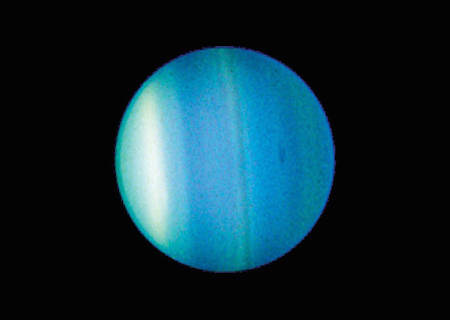 I will not show a nearly identical telescopic view of Uranus. 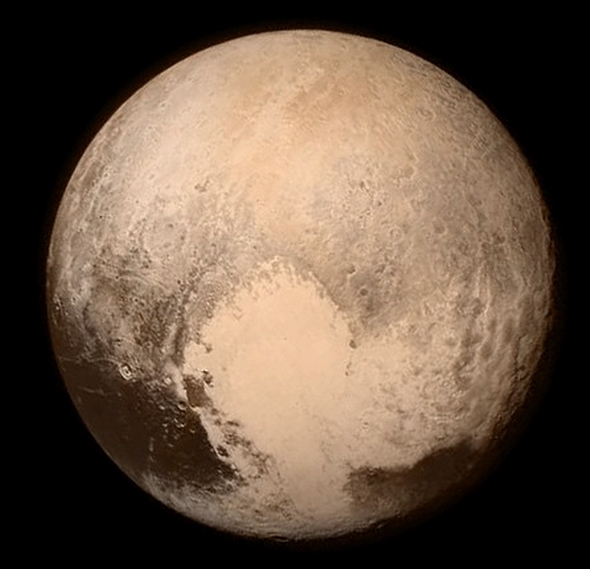 Finally we come to Pluto, which has always been a star-like object for most of the 20th century. These blurry but intriguing images were the best we could do for most of the 20th century, yet they were enough to encourage generations of children to become astronomers and passionately explore space. 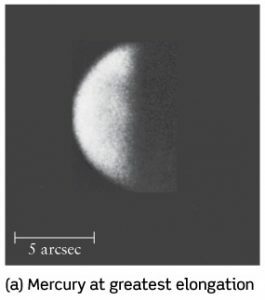 The features of mercury were mere blotches of differing shaded of gray. Uranus, Neptune were slightly resolvable to reveal faint details, and distant Pluto remained completely star-like and unresolved, yet we knew it was its own world many thousands of kilometers across. Mars continued to reveal its tantalizing blotchy features that came and went with the seasons along with the ebb and flow of its two polar ice caps. 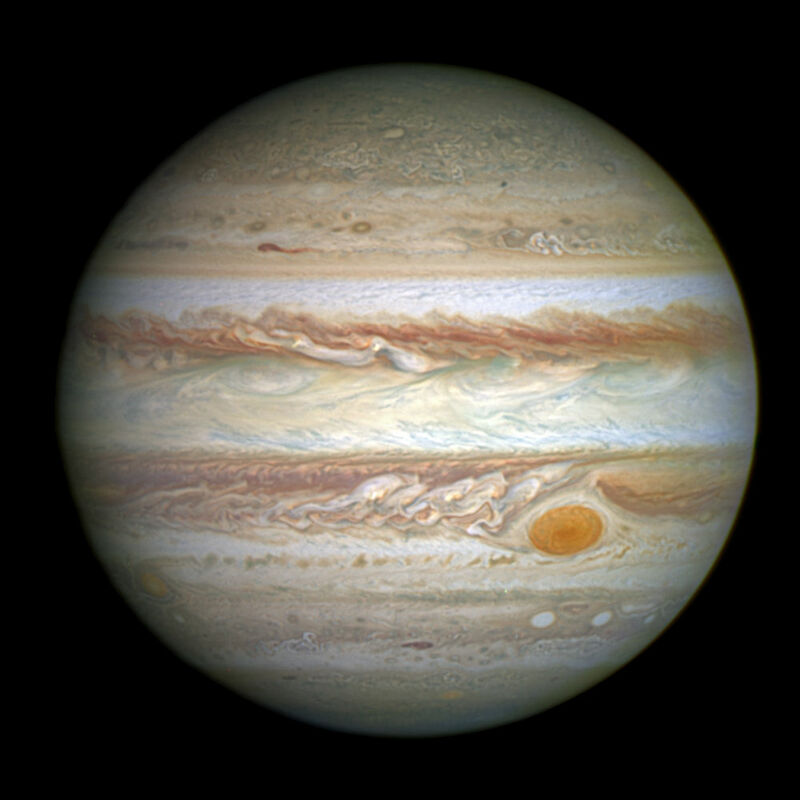 Jupiter was a banded world with its Great Red Spot, but the details of these atmospheric bands was completely hidden in the optical smearing of our own atmosphere. Saturn possessed some large bands, and its majestic ring system could be seen in rough detail but never resolved into its many components. As for the various moons of these distant worlds, they were blurry disks or star-like spots and never revealed their details. 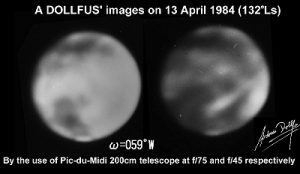 The advent of the Space Program in the 1960s, and the steady investment in spacecraft to ‘fly by’ these planets led to progressively higher and higher resolution images starting with Mariner 4 in 1965 and its historic encounter with Mars, revealing a cratered, moonlike landscape. 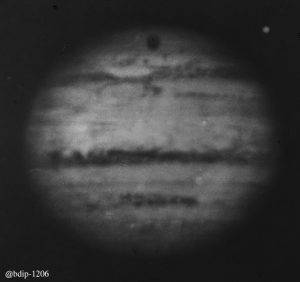 The Pioneer spacecraft in the early 1970s gave us stunning images of Jupiter, followed by the Voyager spacecraft encounters with the outer planets and their moons. 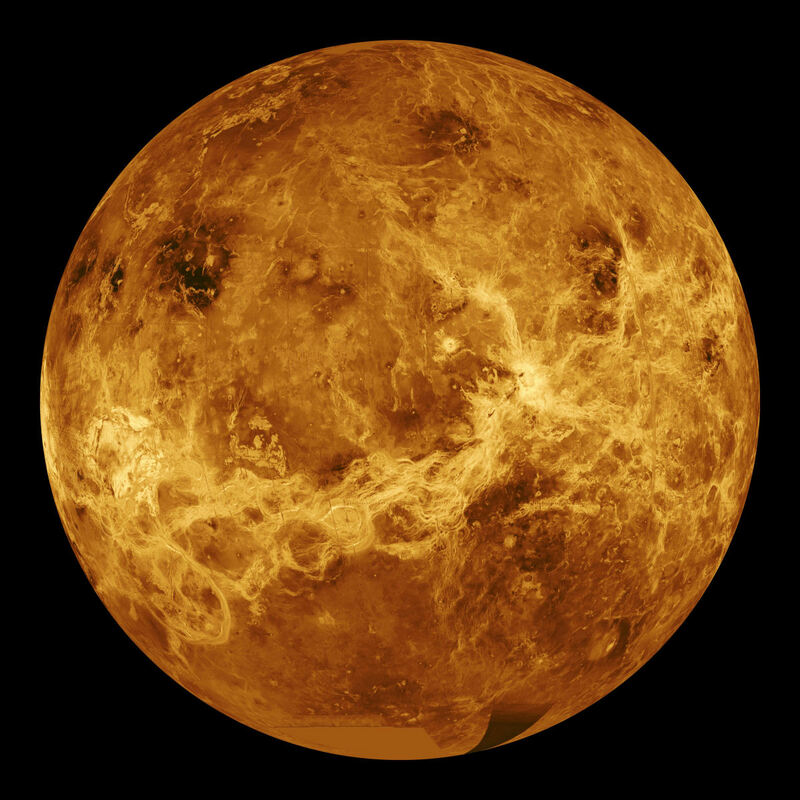 Magellan orbited Venus and with its radar system mapped the surface to show a dynamic and volcanic surface that is permanently hidden beneath impenetrable clouds. 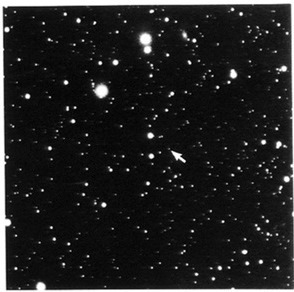 Finally in 2015, the New Horizons spacecraft gave us the first clear images of distant Pluto. Meanwhile, many return trips to our own moon have mapped its surface to 2-meter resolution, while the MESSSENGER spacecraft imaged the surface of Mercury and mapped its many extreme geological features. Even water ice has been detected on mercury and the moon to slacken the thirst of future explorers. For many of the planets, we have extreme close up images too! 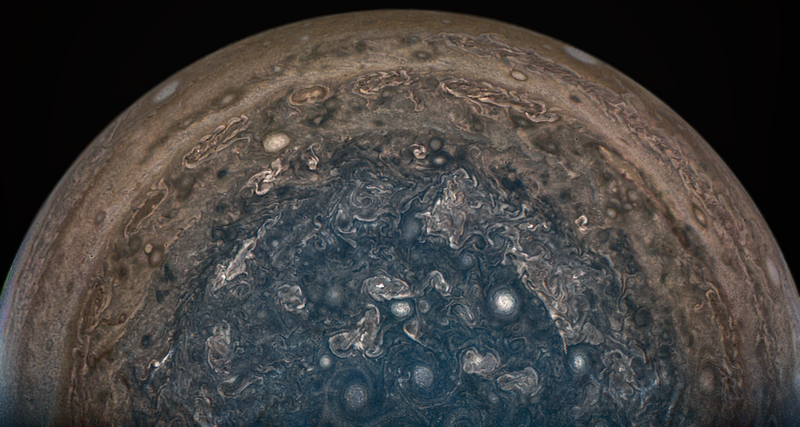 Jupiter’s south pole from the Juno spacecraft shows a bewildering field of tremendous hurricanes each almost as large as Earth, swirling about aimlessly in a nearly motionless atmosphere. 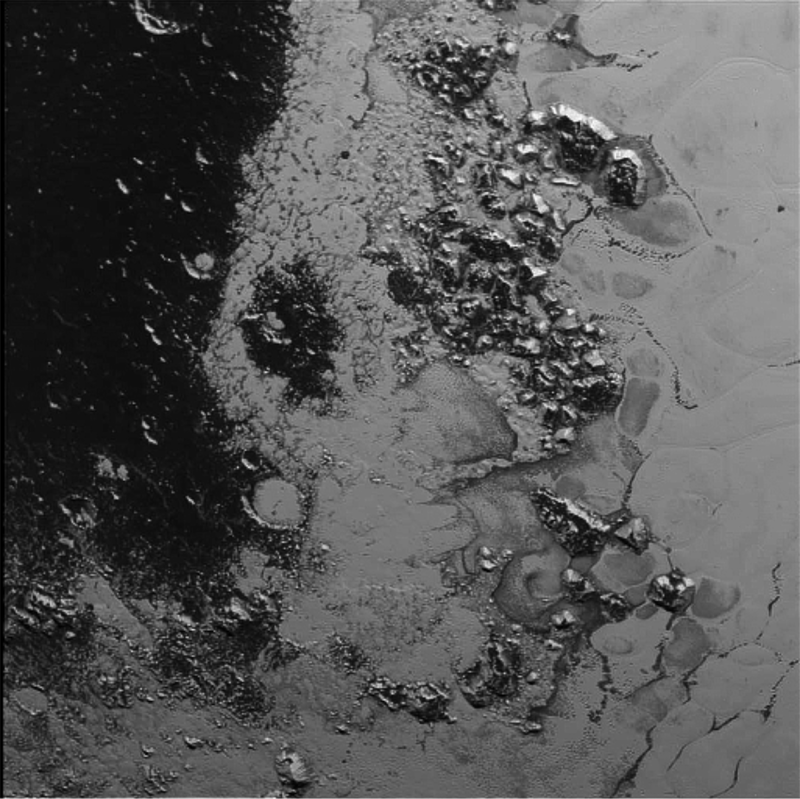 Pluto details a few hundred meters across. Can you come up with at least ten questions you would like answers for about what you are seeing? 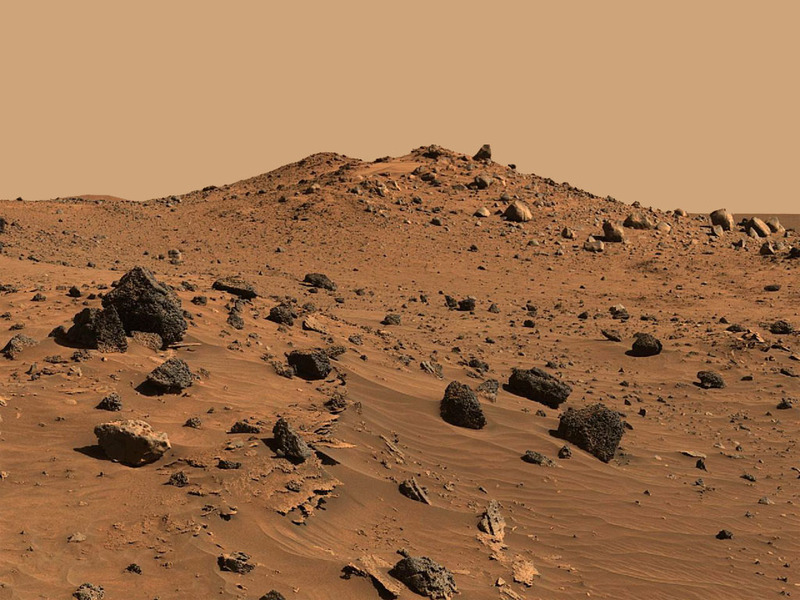 Here is one of thousands of typical views from the Martian surface. Check out the rocks strewn across the field. Some are dark and pumice-like while others are white and granite-looking. ‘Cats and dogs living together’. What’s going on here? 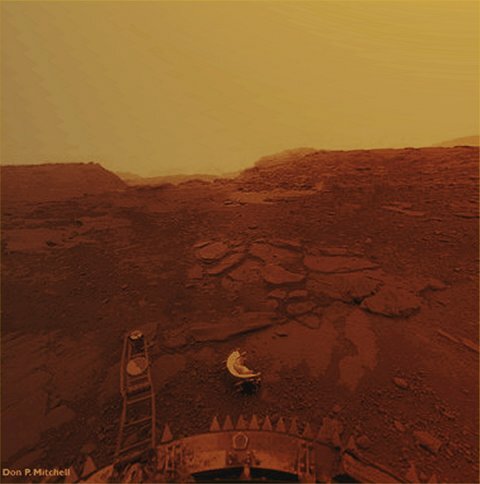 The Venera 13 image shown below from the surface of Venus is unique and extremely puzzling from a surface that is supposed to be hotter than molten lead. We also have images from a multitude of moons, asteroids and comets! This bewildering avalanche of detail has utterly transformed how we view these worlds and the kinds of questions we can now explore. 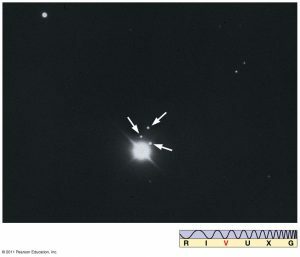 If you compare what we knew about Pluto before 2015 when it was little more than a peculiar ‘star in the sky’, to the full-color detailed orb we now see, you can imagine how science progresses by leaps and bounds through the simple technique of merely seeing the object more clearly. It used to be fashionable to speculate about Pluto when all we knew was its size, mass and density and they it had a thin atmosphere. But now we are delightfully challenged to understand this world as the dynamic place that it is with mountains of ice, continent-sized glaciers, and nitrogen snow. And of course, the mere application of improved resolution now lets us explore the entire surface of our moon with the same clarity as an astronaut hovering over its surface from a height of a few dozen feet! We Old-Timers have had a wonderful run in understanding our solar system as we transitioned from murky details to crystal clarity. All of the easy low-hanging fruit of theory building and testing over the last century has been accomplished for the most-part. Now the ever more challenging work of getting the details straight begins, and will last for another century at least. When you can tele-robotically explore planetary and asteroidal surfaces, or perform on-the-spot microscopic assays of minerals, what incredible new questions will emerge? Is there life below the surface of Europa? 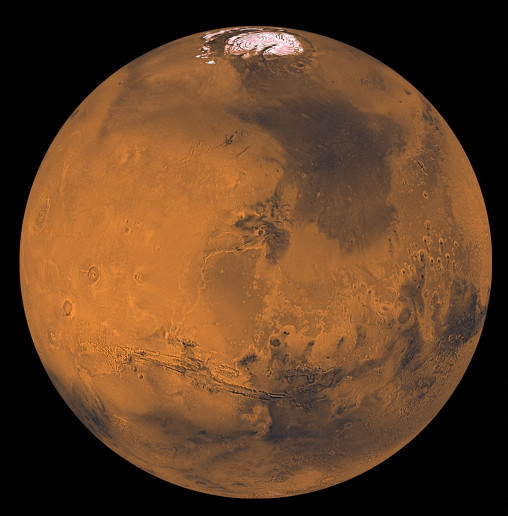 Why does Mars belch forth methane gas in the summer? Can the water deposits on the moon be mined? Is Pluto’s moon Charon responsible for the tidal heating of an otherwise inert Pluto? Check back here on Tuesday, April 18 for my next topic! Although many survey questions you hear about show close to a 50/50 split in public opinion, there are still many questions that offer nearly unanimous agreement and probably help to define who we are as a Nation in terms of core values and beliefs. I have always wondered what these key issues are, so I gathered up as many of these “over-80 percent” responses as I could easily locate back in 2014. They come in two kinds of statistical samples: biased and un-biased. The only correct way to survey people’s opinions is through a carefully designed randomized survey to eliminate biases that would skew the results. The answers you get from these surveys are probably the most reliable. After each question I give the response and its percentage, the number of people in the sample, the name of the surveyor, and the date. Many of these surveys are by land-line telephone, so a fair question is: Are people that answer their land-lines typical of the general population today? Do you believe that man-made climate change is real? Yes=97 percent (1372 scientists, National Academy of Science, 6/22/2010) Note. Pew Research survey in 2016 of 1019 US adults found that only 65% believed this was true. Do you believe in a God? Yes = 95 percent (1500, Gallop Poll, 3/29/2001) Note Gallup Poll 2016 shows that 89% now believe in God. Related to this is the Pew Research poll in 2015 that showed 72% of people believed in an afterlife. A Roper Survey in 2011 found 40% of US adults believed in ghosts, but this belief has been declining since 2005 when it was 48%. Do you want stronger protection for your Internet privacy? Yes=94 percent (2117, Pew Internet and American Life Project, 5/2000 ) Note: In April 2017, President Trump signed an executive order that now allows Internet Service Providers to sell your private information without telling you! Would you vote for a woman for President? Yes=92 percent (1229, CBS News/New York Times, 2/5/2006 ) In the 2016 presidential election, over 3 million more people voted for the female candidate than the male candidate. Do you think that English should be the official language of the US? Yes= 87 percent (1000, Rassmussen Report, 5/11 /2010) Note, in 2016 a Pew Survey found that 90% of American adults thought that English should be the official language. Do you think the federal government is broken? Yes= 86 percent (1023, CNN/Opinion Research Poll, 2/22/2010). Note in 2015, 75% of Gallup Survey believed that widespread government corruption exists. President Trump was elected to shake up the government and ‘drain the swamp’, only to demonstrate that he was himself a major corrupting influence supported by intense Russian influence in the election. Is President Obama a Muslim? No = 82 percent (3003 adults; Pew Research 8/19/2010) Note by 2015 this had fallen to 79% (CNN/ORC Poll). This truly shows that nearly 30% of American adults are certifiably as dumb as dust. This belief among GOP voters is nearly 3 times higher than for democrats. 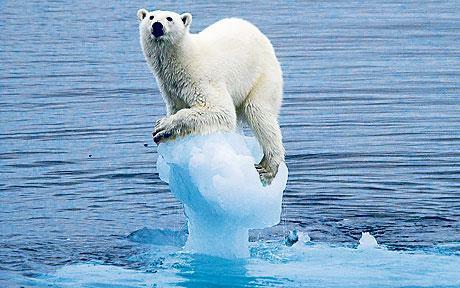 Is climate change a serious threat and are you willing to make sacrifices to combat it? Yes=80 percent (1000, Institution of Civil Engineers, 11/20/2009). President Trump’s official position is that climate change science is a Chinese hoax. Do you live in a house with at least one cellphone? Yes = 90 percent (3001, Pew Research Center, 2/4/2011) Note in 2015 the Pew Research Center found that 64% of American adults owned a smartphone. Biased surveys a not regulated (a person can vote multiple times) and often ask you to vote online, or are conducted by institutions that have a point to make and could be suspected of selecting in advance the people they want to survey that are like-minded (e.g. Fox News). In the results below I have selected CNN.com’s daily online voting results because they were easily available. CNN readers are in equal shares, Liberal, Moderate and Conservative. In addition 50 percent are Democrats and 16 percent are Republicans. Of course ,all have access to the internet and are not surveyed by land-line telephone so they probably represent a younger population. Do you think there may be life on planets other than Earth? Yes = 88 percent (243250, 5/22/2011). Do you approve of the performance of your congressional representatives? No=86 percent (123776, 8/3/2011) Note in 2017 the Rassmusen Survey found that 75% of adults gave Congress a poor rating. So we like the Congressperson we voted for, but dislike everyone else and what they do. Do you snack on grocery store food before you buy it? Are you ready to “boot out” your representative in Congress? Should racist remarks be subject to criminal prosecution? Should convicted murderers be eligible for full pardons? Things we should agree on but don’t. There are also many issues we should agree on but don’t. It doesn’t matter how much money we invest in ‘public education’. The general public simply doesn’t get it on many significant issues…and they vote accordingly. Here are some of my favorites, sad to say. Does Ebola spread easily? No=27 percent (1025, Harvard School of Public Health, 8/13/2014). This is a case of fear overcoming reason and evidence. Are childhood vaccines safe and effective? Yes=53 percent (1012, AP/GFK Poll, 3/24/2014). This is another case of fear overcoming evidence, but with potentially devastating results if too many people ‘opt out’. Did the universe begin with a huge explosion? Yes= 38 percent (1500, National Science Board,2014 ). This is a case of personal belief and religious fundamentalism overcoming evidence and reasoned discussion. Even the Catholic Pope finds no contradiction with believing the scientific story! Have humans and other living things evolved over time? Yes=60 percent ( 1983, Pew Research, 3/8/2013). Again, religious fundamentalism and pseudoscience have biased American public thinking. Would you support a candidate who advocate carbon emission reduction? Yes=68 percent (2105, University of Texas, 9/4/2014). This is directly connected to the public’s lukewarm belief in climate change and the massive negative campaigning by the GOP and industrial lobbyists. In 2016 we elected a president who sides with industry and climate change deniers and is now dismantling both the EPA and canceling all research on climate change at many governmental institutions. Check back here on Wednesday, April 12 for my next topic! Today, physicists are both excited and disturbed by how well the Standard Model is behaving, even at the enormous energies provided by the CERN Large Hadron Collider. There seems to be no sign of the expected supersymmetry property that would show the way to the next-generation version of the Standard Model: Call it V2.0. But there is another ‘back door’ way to uncover its deficiencies. You see, even the tests for how the Standard Model itself works are incomplete, even after the dramatic 2012 discovery of the Higgs Boson! To see how this backdoor test works, we need a bit of history. 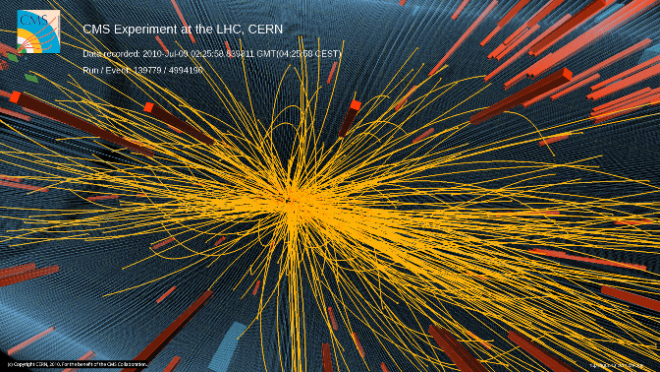 Over fifty years ago in 1964, physicists Murray Gell-Mann at Caltech and George Zweig at CERN came up with the idea of the quark as a response to the bewildering number of elementary particles that were being discovered at the huge “atom smasher” labs sprouting up all over the world. Basically, you only needed three kinds of elementary quarks, called “up,” “down” and “strange.” Combining these in threes, you get the heavy particles called baryons, such as the proton and neutron. Combining them in twos, with one quark and one anti-quark, you get the medium-weight particles called the mesons. 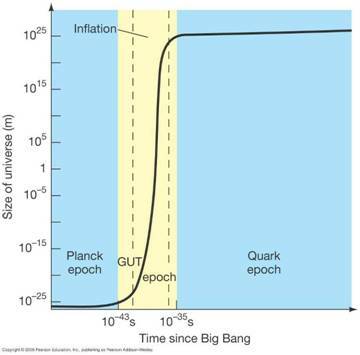 In my previous blog, I discussed how things are going with testing the quark model and identifying all of the ‘missing’ particles that this model predicts. In addition to quarks, the Standard Model details how the strong nuclear force is created to hold these quarks together inside the particles of matter we actually see, such as protons and neutrons. To do this, quarks must exchange force-carrying particles called gluons, which ‘glue’ the quarks together in to groups of twos and threes. Gluons are second-cousins to the photons that transmit the electromagnetic force, but they have several important differences. Like photons, they carry no mass, however unlike photons that carry no electric charge, gluons carry what physicist call color-charge. Quarks can be either ‘red’, ‘blue’ or ‘green’, as well as anti-red, anti-green and anti-blue. That means that quarks have to have complex color charges like (red, anti-blue) etc. Because the gluons carry color charge, unlike photons which do not interact with each other, gluons can interact with each other very strongly through their complicated color-charges. The end result is that, under some circumstances, you can have a ball of gluons that resemble a temporarily-stable particle before they dissipate. Physicists call these glueballs…of course! Glueballs are one of the most novel, and key predictions of the Standard Model, so not surprisingly there has been a decades-long search for these waifs among the trillions of other particles that are also routinely created in modern particle accelerator labs around the world. Example of glueball decay into pi mesons. By 2015, the f-zero(1500) and f-zero(1710) had become the prime glueball candidates. The properties of glueball states can be calculated from the Standard Model, although this is a complex undertaking because glueballs interact with nearby quarks and other free gluons very strongly and all these factors have to be considered. On October 15, 2015 there was a much-ballyhooed announcement that physicists had at last discovered the glueball particle. 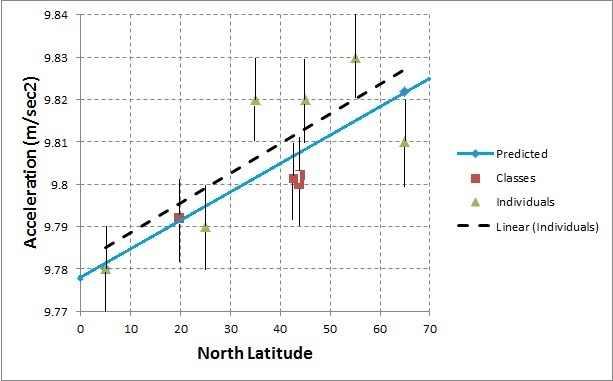 The articles cited Professor Anton Rebhan and Frederic Brünner from TU Wien (Vienna) as having completed these calculations, concluding that the f-zero(1710) was the best candidate consistent with experimental measurements and its predicted mass. More rigorous experimental work to define the properties and exact decays of this particle are, even now, going on at the CERN Large Hadron Collider and elsewhere. So, between the missing particles I described in my previous blog, and glueballs, there are many things about the Standard Model that still need to be tested. But even with these predictions confirmed, physicists are still not ‘happy campers’ when it comes to this grand theory of matter and forces. Beyond these missing particles, we still need to have a deeper understanding of why some things are the way they are, and not something different. Check back here on Wednesday, April 5 for my next topic! Over fifty years ago in 1964, physicists Murray Gell-Mann at Caltech and George Zweig at CERN came up with the idea of the quark as a response to the bewildering number of elementary particles that were being discovered at the huge “atom smasher” labs sprouting up all over the world. Basically, you only needed three kinds of elementary quarks, called “up,” “down” and “strange.” Combining these in threes, you get the heavy particles called baryons, such as the proton and neutron. Combining them in twos, with one quark and one anti-quark, you get the medium-weight particles called the mesons. This early idea was extended to include three more types of quarks, dubbed “charmed,” “top” and “bottom” (or on the other side of the pond, “charmed,” “truth” and “beauty”) as they were discovered in the 1970s. These six quarks form three generations — (U, D), (S, C), (T, B) — in the Standard Model. At first the quark model easily accounted for the then-known particles. A proton would consist of two up quarks and one down quark (U, U, D), and a neutron would be (D, D, U). A pi-plus meson would be (U, anti-D), and a pi-minus meson would be (D, anti-U), and so on. It’s a bit confusing to combine quarks and anti-quarks in all the possible combinations. It’s kind of like working out all the ways that a coin flipped three times give you a pattern like (T,T,H) or (H,T,H), but when you do this in twos and threes for U, D and S quarks, you get the entire family of the nine known mesons, which forms one geometric pattern in the figure below, called the Meson Nonet. 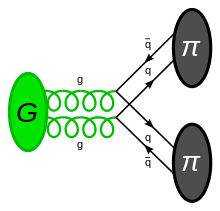 If you take the three quarks U, D and S and combine them in all possible unique threes, you get two patterns of particles shown below, called the Baryon Octet (left) and the Baryon Decuplet (right). The problem was that there was a single missing particle in the simple 3-quark baryon pattern. The Omega-minus (S,S,S) at the apex of the Baryon Decuplet was nowhere to be found. This slot was empty until Brookhaven National Laboratory discovered it in early 1964. It was the first indication that the quark model was on the right track and could predict a new particle that no one had ever seen before. Once the other three quarks (C, T and B) were discovered in the 1970s, it was clear that there were many more slots to fill in the geometric patterns that emerged from a six-quark system. The first particles predicted, and then discovered, in these patterns were the J/Psi “charmonium” meson (C, anti-C) in 1974, and the Upsilon “bottomonium” meson (B, anti-B) in 1977. Apparently there are no possible top mesons (T, anti-T) because the top quark decays so quickly it is gone before it can bind together with an anti-top quark to make even the lightest stable toponium meson! The number of possible particles that result by simply combining the six quarks and six anti-quarks in patterns of twos (mesons) is exactly 39 mesons. Of these, only 26 have been detected as of 2017. These particles have masses between 4 and 11 times more massive than a single proton! For the still-heavier three-quark baryons, the quark patterns predict 75 baryons containing combinations of all six quarks. Of these, the proton and neutron are the least massive! But there are 31 of these predicted baryons that have not been detected yet. 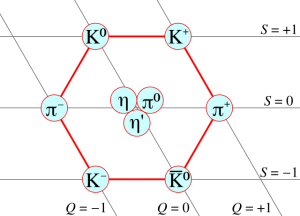 These include the lightest missing particle, the double charmed Xi (U,C,C) and the bottom Sigma (U, D, B), and the most massive particles, called the charmed double-bottom Omega (C, B, B) and the triple-bottom omega (B,B,B). In 2014, CERN/LHC announced the discovery of two of these missing particles, called the bottom Xi baryons (B, S, D), with masses near 5.8 GeV. To make life even more interesting for the Standard Model, other combinations of more than three quarks are also possible. 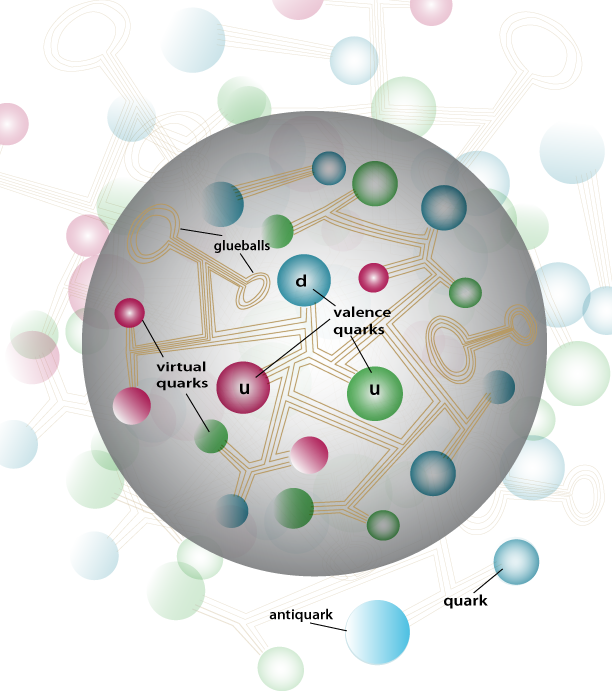 A pentaquark baryon particle can contain four quarks and one anti-quark. The first of these, called the Theta-plus baryon, was predicted in 1997 and consists of (U, U, D, D, anti-S). This kind of quark package seems to be pretty rare and hard to create. There have been several claims for a detection of such a particle near 1.5 GeV, but experimental verification remains controversial. Two other possibilities called the Phi double-minus (D, D, S, S, anti-U) and the charmed neutral Theta (U, U, D, D, anti-C) have been searched for but not found. There are also tetraquark mesons, which consist of four quarks. The Z-meson (C, D, anti-C, anti-U) was discovered by the Japanese Bell Experiment in 2007 and confirmed in 2014 by the Large Hadron Collider at 4.43 GeV, hence the proper name Z(4430). The Y(4140) was discovered at Fermilab in 2009 and confirmed at the LHC in 2012 and has a mass 4.4 times the proton’s mass. It could be a combination of charmed quarks and charmed anti-quarks (C, anti-C, C, anti-C). The X(3830) particle was also discovered by the Japanese Bell Experiment and confirmed by other investigators, and could be yet another tetraquark combination consisting of a pair of quarks and anti-quarks (q, anti-q, q, anti-q). So the Standard Model, and the six-quark model it contains, makes specific predictions for new baryon and meson states to be discovered. All totaled, there are 44 ordinary baryons and mesons that remain to be discovered! As for the ‘exotics’ that opens up a whole other universe of possibilities. In theory, heptaquarks (5 quarks, 2 antiquarks), nonaquarks (6 quarks, 3 antiquarks), etc. could also exist. At the current pace of a few particles per year or so, we may finally wrap up all the predictions of the quark model in the next few decades. Then we really get to wonder what lies beyond the Standard once all the predicted particle slots have been filled. It is actually a win-win situation, because we either completely verify the quark model, which is very cool, or we discover anomalous particles that the quark model can’t explain, which may show us the ‘backdoor’ way to the Standard Model v.2.0 that the current supersymmetry searches seem not to be providing us just yet. Check back here on Wednesday, March 22 for the next topic! It really is a shame. When all you have is a hammer, everything else looks like a nail. This also applies to our current, international space programs. We have been using chemical rockets for centuries, but since the advent of V2s and the modern space age, these brute-force and cheap work horses have been the main propulsion technology we use to go just about everywhere in the solar system. But this amounts to thinking that one technology can span all of our needs, and the trillions of cubic miles that encompass interplanetary space. We pay a huge price for this belief. Chemical rockets have their place in space travel. They are fantastic ways of delivering HUGE thrusts quickly; the method par excellance for getting us off this planet and paying the admission ticket to space. No other known propulsion technology is as cheap, simple, and technologically elegant as chemical propulsion in this setting. Applying this same technology to interplanetary travel beyond the moon is quite another thing, and sets in motion an escalating series of difficult problems. Every interplanetary spacecraft launched so far to travel to each of the planets in our solar system works on the exact same principle. Give the spacecraft a HUGE boost to get it off the launch pad, and with enough velocity to reach the distant planet, then cut the engines off after a few minutes so the spacecraft can literally coast the whole way. With a few more ‘Delta-V’ changes, this is called the minimum –energy trajectory or for rocket scientists the Hohmann Transfer orbit. It is designed to get you there, not in the shortest time, but using the least amount of energy. In propulsion, energy is money. We use souped-up Atlas rockets at a few hundred million dollars a pop to launch space craft to the outer planets. We don’t use even larger and expensive Saturn V rockets that deliver even more energy for a dramatically-shorter ride. If you bank on taking the slow-boat to Mars rather than a more energetic ride, this leads to all sorts of problems. The biggest of these is that the inexpensive 220-day journeys let humans build up all sorts of nasty medical problems that short 2-week trips would completely eliminate. In fact, the entire edifice of the $150 billion International Space Station is there to explore the extended human stays in space that are demanded by Hohmann Transfer orbits and chemical propulsion. We pay a costly price to keep using cheap chemical rockets that deliver long stays in space, and cause major problems that are expensive to patch-up afterwards. The entire investment in the ISS could have been eliminated if we focused on getting the travel times in space down to a few weeks. You do not need Star Trek warp technology to do this! Since the 1960s, NASA engineers and academic ‘think tanks’ have designed nuclear rocket engines and ion rocket engines, both show enormous promise in breaking the hegemony of chemical transportation. The NASA nuclear rocket program began in the e arly-1960s and built several operational prototypes, but the program was abandoned in the late 1960s because nuclear rockets were extremely messy, heavy, and had a nasty habit of slowly vaporizing the nuclear reactor and blowing it out the rocket engine! Yet, Wernher Von Braun designed a Mars expedition for the 1970s in which several, heavy 100-ton nuclear motors would be placed in orbit by a Saturn V and then incorporated into an set of three interplanetary transports. This program was canceled when the Apollo program was ended and there was no longer a conventional need for the massive Saturn V rockets. But ion rockets continued to be developed and today several of these have already been used on interplanetary spacecraft like Deep Space 1 and Dawn. The plans for humans on Mars in 2030s rely on ion rocket propulsion powered by massive solar panels. Unlike chemical rockets, which limit spacecraft speeds to a few kilometers/sec, ion rockets can be developed with speeds up to several thousand km/sec. All that they need is more thrust, and to get that they need low-mass power plants in the gigawatt range. ‘Rocket scientists’ gauge engine designs based on their Specific Impulse, which is the exhaust speed divided by the acceleration of gravity on Earth. 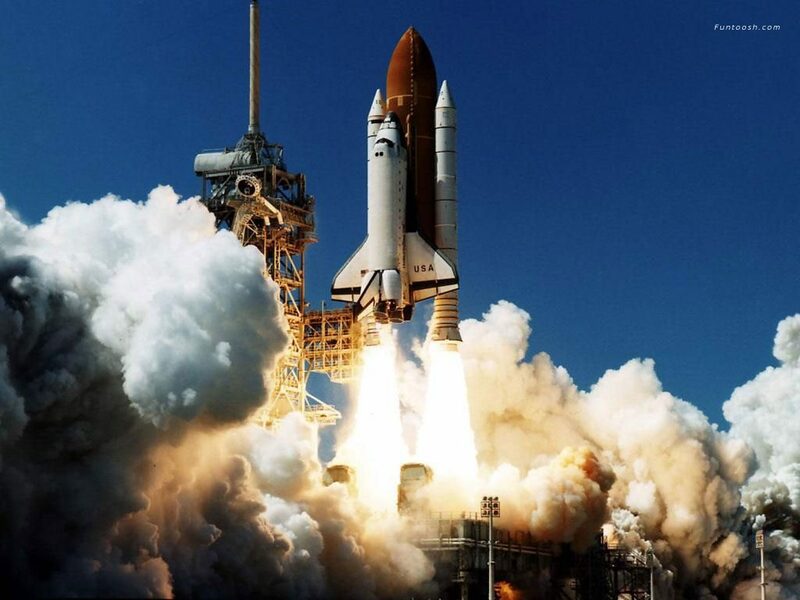 Chemical rockets can only provide SIs of 300 seconds, but ion engine designs can reach 30,000 seconds or more! With these engine designs, you can travel to Mars in SIX DAYS, and a jaunt to Pluto can take a neat 2 months! 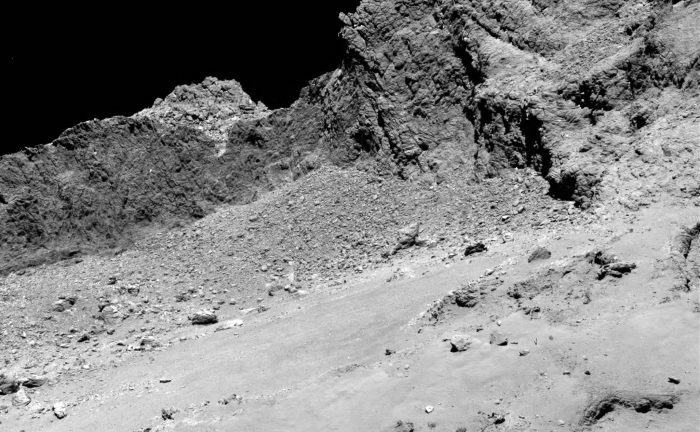 Under these conditions, most of the problems and hazards of prolonged human travel in space are eliminated. But instead of putting our money into perfecting these engine designs, we keep building chemical rockets and investing billions of dollars trying to keep our long-term passengers alive. Check back here on Friday, March 17 for a new blog!